A COMING-OF-age film about a young female boxer in 1960s Ireland, Float Like a Butterfly, has won a major award at the Toronto International Film Festival. The film won the International Federation of Film Critics (FIPRESCI) prize at last night’s ceremony. 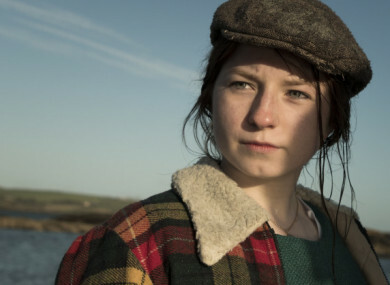 Filmed in west Cork, Float Like a Butterfly is a story of a girl’s fight for freedom and belonging in the 1960s. Raised in roadside camps in rural Ireland, the girl called Frances, played by Irish actress Hazel Doupe, wants to champion her people inside the boxing ring and out, like her idol Muhammad Ali. The film was directed by Carmel Winters and produced by Martina Niland and David Collins. The jury said the film is a “pastoral and traditional bucolic film, capturing the familiar angst and anxiety a young adult woman undergoes in order to have her say in the scheme of things in a predominately male-driven patriarchal society”. Speaking during her acceptance speech, Winters said she “couldn’t have wished for an audience more capable of opening their hearts and witnessing our film”. “I cannot believe the jury chose to see our film in such a loving way as to give us this recognition today. I am so grateful to you all,” she said. Email “Film about young female boxer in 1960s Ireland wins major Toronto award”. Feedback on “Film about young female boxer in 1960s Ireland wins major Toronto award”.